(Trent Nelson | The Salt Lake Tribune) Bandaloop performs at the Utah Arts Festival in Salt Lake City, Thursday June 21, 2018. 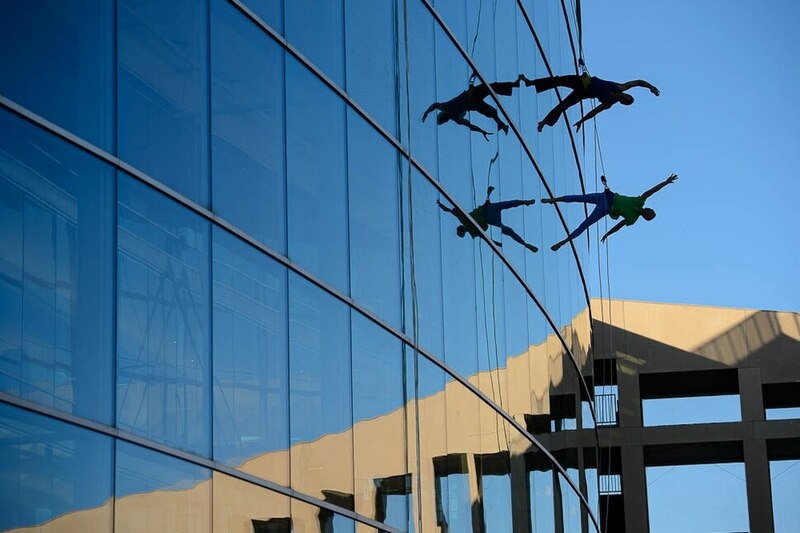 The Utah Arts Festival kicked off Thursday with creations of all kinds, including vertical dance by Bandaloop, paintings by Darrell Driver, leatherwork by Alice Dave and sculptures by Malen Pierson. The event continues through Sunday at Library and Washington squares in Salt Lake City. (Trent Nelson | The Salt Lake Tribune) A piece by artist Brian Smith at the Utah Arts Festival in Salt Lake City, Thursday June 21, 2018. 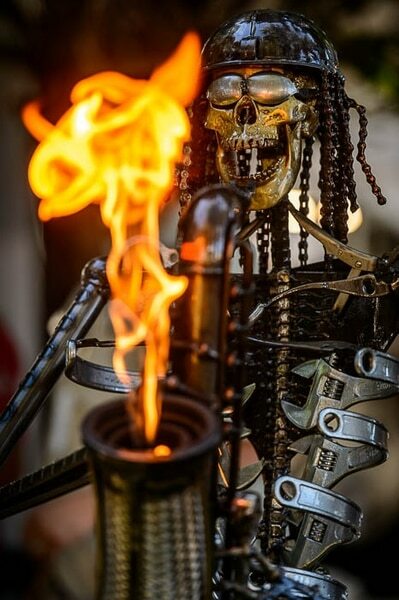 (Trent Nelson | The Salt Lake Tribune) A skeletal saxophone-playing sculpture by Fred Conlon gets flaming hot at the Utah Arts Festival in Salt Lake City, Thursday June 21, 2018. (Trent Nelson | The Salt Lake Tribune) Bandaloop performs at the Utah Arts Festival in Salt Lake City, Thursday June 21, 2018. (Trent Nelson | The Salt Lake Tribune) Bandaloop performs at the Utah Arts Festival in Salt Lake City, Thursday June 21, 2018. (Trent Nelson | The Salt Lake Tribune) Pottery by Brad Henry at the Utah Arts Festival in Salt Lake City, Thursday June 21, 2018. (Trent Nelson | The Salt Lake Tribune) Glasswork by Stan O'Neil at the Utah Arts Festival in Salt Lake City, Thursday June 21, 2018. (Trent Nelson | The Salt Lake Tribune) A detail from Arash Rahimi's Soul of Life at the Utah Arts Festival in Salt Lake City, Thursday June 21, 2018. (Trent Nelson | The Salt Lake Tribune) Detail from a sculpture by Malen Pierson at the Utah Arts Festival in Salt Lake City, Thursday June 21, 2018. (Trent Nelson | The Salt Lake Tribune) Detail from work by artist Darrell Driver at the Utah Arts Festival in Salt Lake City, Thursday June 21, 2018. (Trent Nelson | The Salt Lake Tribune) Leatherwork by Alice Dave at the Utah Arts Festival in Salt Lake City, Thursday June 21, 2018. 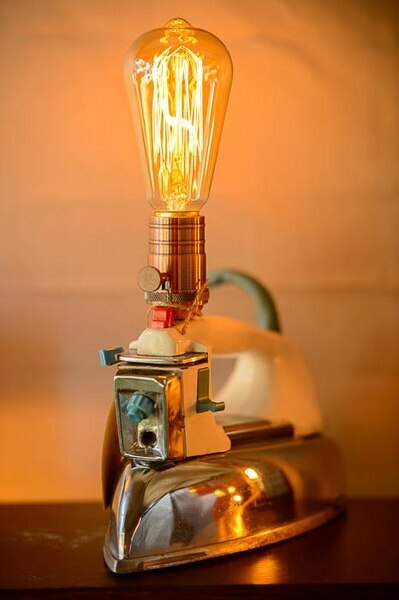 (Trent Nelson | The Salt Lake Tribune) A detail from work by artist Jennifer Seeley at the Utah Arts Festival in Salt Lake City, Thursday June 21, 2018.